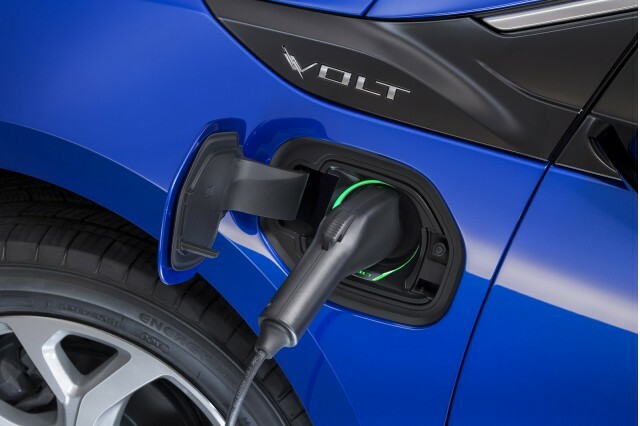 By now, it's hardly a secret that we're big fans of the redesigned second-generation Chevy Volt plug-in hybrid. We gave it our Best Car To Buy 2016 award, and we've written that it's better in pretty much every way than the innovative first-generation Volt. 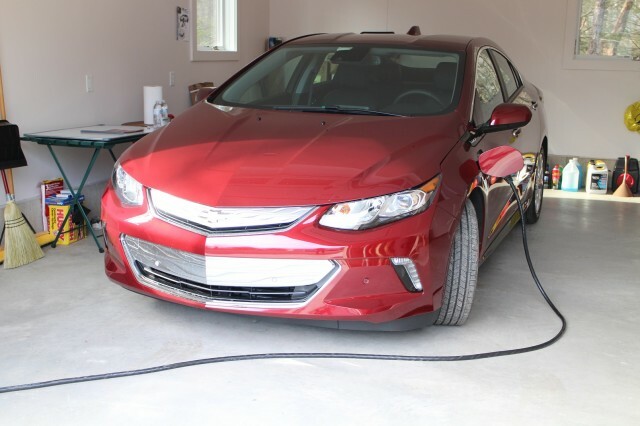 Last month, we were able to spend four weekend days with a 2016 Chevrolet Volt, to get a sense for what it's like to live with every day--especially in cold weather. Over almost 300 miles on our usual test route, roughly two-thirds highway driving and one-third city and suburban stop-and-go, we ran the Volt on both battery energy and gasoline. Specifically, we covered 154 miles on grid energy used to charge its 18.4 kilowatt-hour battery, over one partial and two full recharging sessions. The other 143 miles was covered using gasoline when the engine kicked on after the battery depleted during each of the long highway runs that bracketed our test. We received the car with an indicated battery range of 38 miles, though we actually got 45 miles before the engine switched on. 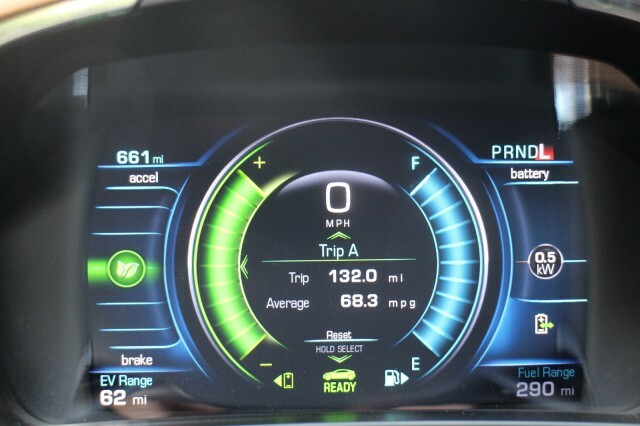 After 71 miles on gasoline, we charged for 3 hours at the 2016 Volt's maximum rate of 3.6 kilowatts, taking indicated range back up to 31 miles. After 16 miles of local duties entirely on electricity--like many drivers, we'd assumed we'd covered more like 25 miles--an overnight recharge brought indicated range up to 45 miles. More local errands were done on electricity, covering 49 miles, after which we had an indicated 8 miles of electric range remaining. Another overnight recharge totaling 12.5 kilowatt-hours gave us 49 miles more of electric travel, in a mix of both local traffic and highway speeds. Our test ended after using the gasoline range extender for a final 72 miles, giving us a blended "gas mileage" of 73.8 miles per gallon. The final "efficiency" over almost 298 miles was "90.7 miles per gallon." A note on those readings: In doing this test, we were reminded that we wish Chevy made it easier to discern, display, and save the energy used per trip leg and until a trip odometer is reset. Those blended gas-mileage readings may be good for owner bragging points, but they don't give enough detail. Onstar uploads both the gallons of gasoline and kilowatt-hours of electricity used by the car, assuming owners have given permission. Displaying those items in a breakout of the "MPG" number, would let drivers more easily understand and track overall energy usage between electricity and gasoline. It's worth noting from this test specifically that temperatures varied from the high 40s during the day to about 30 degrees F overnight. 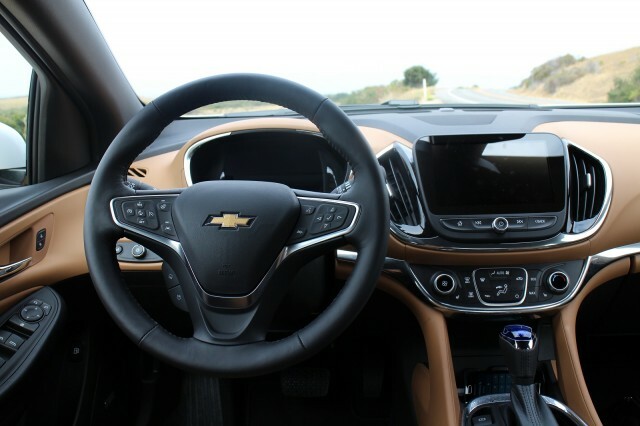 Our Volt never had to switch on its engine to provide cabin heat, though, and we found the Premier trim level's heated seats and steering wheel to be adequate in the relatively small cabin. 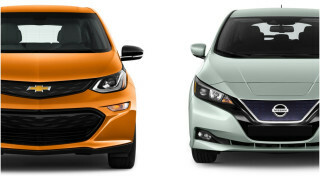 As before, we found the Volt quiet, comfortable, peppy, and smooth. Its controls are intuitive, the color graphics and touchscreen displays are exceptionally bright and crisp, and the rearview camera gives a better-quality image than those we've used in most other cars. While we heard a bit of electronics whine and motor whirr, these noises are far better suppressed than in the 2016 Nissan Leaf we drove back to back with the Volt. The Volt information displays include a great deal more operating data than do those of the new 2016 Toyota Prius, which also just preceded our Volt drive. We've covered the 2016 Volt quite a lot since it was unveiled this past January. 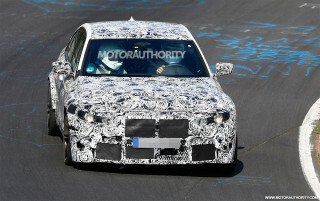 It was crystal-clear that it would be a nominee for the Best Car To Buy award. What we didn't expect was how much of an improvement over the old car it would be--and how good a car it is. 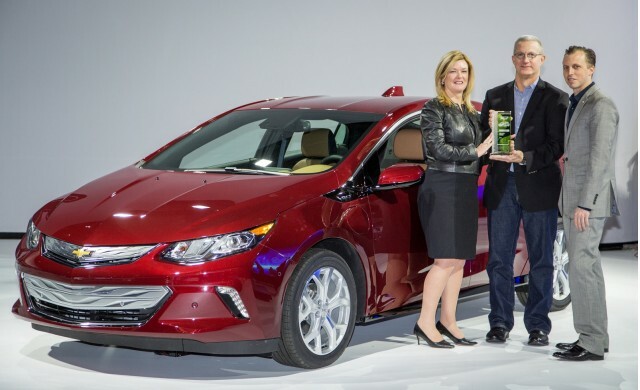 If we had a place to plug it in, in fact, we'd seriously consider the 2016 Chevrolet Volt as our only car to use. It's really that good. Our 2016 Chevy Volt Premier carried a base price of $37,520 and a total of four extra-cost options. The first of a pair of "Driver Confidence packages" at $495 apiece gave us side blind-zone alert, rear cross-traffic alert, and lane-departure warning. The second added lane-keeping assist to steer the car back into its lane, forward-collision alert, low-speed automatic braking, and intelligent headlights. The Chevrolet MyLink system with built-in navigation added another $495, and the striking Siren Red Tintcoat paint was a further $395. Including the mandatory destination charge of $825, the bottom line on our test car was $40,225.